Langria is giving you a chance to get your hands on a free office chair worth £69.99. Follow their link and then submit your entry by filling up the form and you will be in for a chance to win. 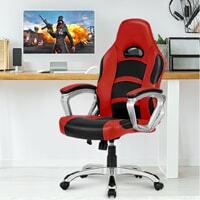 Click on “GET IT HERE” button and then follow instructions given above for a chance to win 1 of 100 of these office chairs.